Shopping for Day of the Dead Cards? Have some fun with friends and family while playing your favorite card game with this Day of the Dead deck designed by artist David Lozeau. 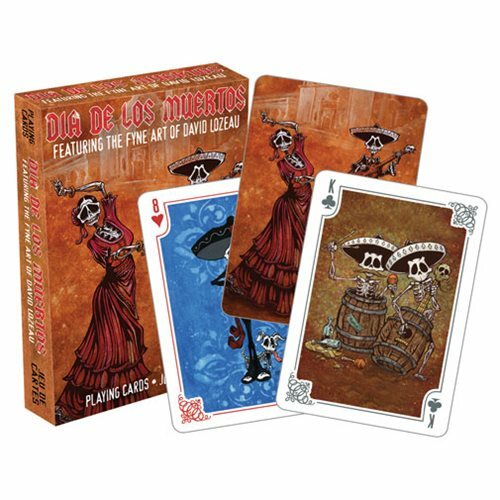 Measuring approximately 2 1/2-inches x 3 1/2-inches with a linen type finish, these Dia De Los Muertos 2 Playing Cards will be perfect for your next poker night!